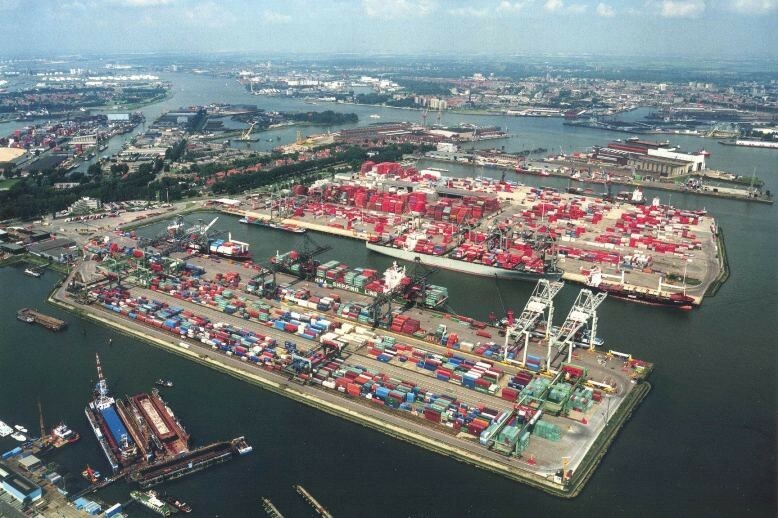 In the first quarter of 2017, 2.0% more goods passed through the Port of Rotterdam than in the same period last year. 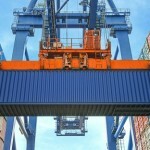 The growth in the container sector (8.8% by volume (TEU), 10.8% by weight) is particularly striking. Of the 11 different commodities, only mineral oil products and other liquid bulk showed a decrease. The total throughput volume increased to 119.3 million tonnes. In the liquid bulk segment, more crude oil (+2.3%; 26.6 million tonnes) and more LNG (+65.6%; 0.2 million tonnes) was handled. The LNG volume is small in absolute terms and fluctuates considerably. The throughput of mineral oil products (-11.1%; 21.7 million tonnes) and other liquid bulk (-9.2%; 7.0 million tonnes) decreased. The fall in oil products was caused mainly by the lower Russian fuel oil throughput due to the increase on the export duty levied in Russia. Within the category of other liquid bulk, the volume of chemicals and vegetable oils fell, while that of biofuels rose. In total, liquid bulk throughput decreased by 4.7% to 55.6 million tonnes. Within dry bulk, iron ore & scrap and coal are the main commodities. The throughput of both increased slightly: iron ore & scrap by 0.5% to 7.9 million tonnes, and coal by 1.5% to 8.0 million tonnes. Agribulk increased by 14.0% to 2.9 million tonnes. Other dry bulk grew by 8.5% to 3.0 million tonnes. All in all, dry bulk throughput rose 3.6% to 21.7 million tonnes. Container throughput increased 10.8% by weight to 34.3 million tonnes and 8.8% by volume to 3.3 million TEU (the standard unit for containers). This appears to be significantly more than the market average. Activity at the new terminals on Maasvlakte 2 is improving all the time, and shipping companies have brought back to Rotterdam substantial quantities of transshipment cargo that had been moved elsewhere in late 2015 and early 2016. This is reflected in the sharp increase (+22.4%; 5.9 million tonnes) in the feeder volume. Feeder vessels convey containers with intercontinental cargo to and from other ports that are not directly called on by the intercontinental (‘deepsea’) services. 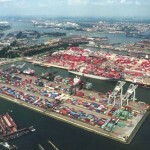 Rotterdam is thus increasingly becoming a hub for containers. 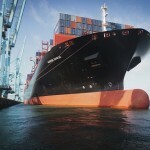 To an extent, the shipping companies also seem to be anticipating the new shipping schedules introduced in April, which are especially favourable to Rotterdam for the important connection to the Far East. It is expected to take another few months before the effect of this is really clear. Roll-on roll-off traffic is still on the rise, including to the United Kingdom (+6.5%; 5.7 million tonnes). This is mainly due to new services that started late last year. The throughput of other general cargo increased sharply (+49.9%; 1.8 million tonnes), mainly due to additional handling of steel in the form of slabs. The total throughput of the breakbulk segment (RoRo and other cargo) increased by 14.5% to 7.6 million tonnes.